The Association will hold its 22nd Annual Conference from 29 November – 1 December, 2017 at Flinders University, Adelaide. For registration and more information visit the Flinders conference page. Creative writers have always engaged with, responded to, and inspired change through writing. In recent years, writers have used fiction, non-fiction, and hybrid forms as vehicles to understand, explain, and rationalise social changes; to observe, communicate, and record moments of significant change; to commemorate or lament personal and global changes. We write from positions of hope, anticipation, or dread, trying to make sense of an ever-changing world. This year, we are doing things a little bit differently. Instead of publishing the peer-reviewed papers on our website, participants at this year’s conference will have the opportunity to submit presented papers to a peer-reviewed special edition of a scholarly journal (details to follow shortly). A second special edition will invite submissions specifically from postgraduate candidates and early career researchers. The Australian newspaper has described Charlotte Wood as “one of our most original and provocative writers.” She is the author of five novels and two books of non-fiction. Her latest novel, The Natural Way of Things, won the 2016 Stella Prize, the 2016 Indie Book of the Year and Novel of the Year, and was joint winner of the Prime Minister’s Literary Award for Fiction. In 2016 Charlotte was named the Charles Perkins Centre’s inaugural Writer in Residence at the University of Sydney. 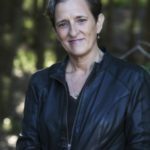 Wood has a background in journalism, and her non-fiction essays and articles have appeared in venues including The Guardian, the Sydney Morning Herald, the Sydney Review of Books, Slow Living, Good Weekend and The Saturday Paper. James Bradley is a Sydney-based novelist and critic. 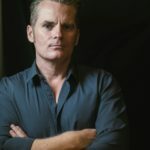 His novels include Wreck, The Resurrectionist, and Clade have won or been shortlisted for a number of major Australian literary awards, including the Miles Franklin Literary Award, the New South Wales Premier’s Literary Awards, the Age Fiction Book of the Year, the Commonwealth Writers Prize for Best First Book, and the Aurealis Award for Best Science Fiction Novel. His latest novel, The Silent Invasion, was published in 2017. ‘Good’ change and ‘bad’ change: does change have an inherent value, and who decides? a creative stream (which may incorporate a scholarly framework that will be presented along with the creative element). For the complete call for papers, click here.